This much-needed volume provides a comprehensive study of wisdom in the Hebrew Bible, in selected intertestamental and Rabbinic texts, and in the New Testament. 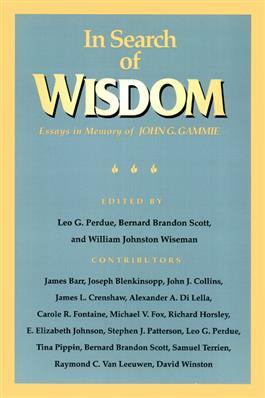 An introductory essay summarizes the various meanings of wisdom in current research and offers an accurate understanding of the term. With seventeen essays by leading scholars, this helpful book allows students to identify and understand the presence of wisdom in the Bible and related literatures.